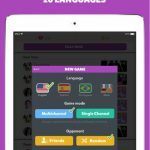 Trivia Crack is a game available on both iOS and Android platforms that allows you to challenge a friend in different categories (Science, Entertainment, Art, Geography, Sports, History) and see which one of you is the most knowledgeable in all of these areas. Each category has a character to match, and if you collect all six, that makes you the winner. 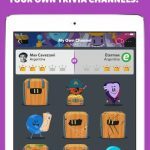 This title is more than your typical trivia game, as you’ll be earning coins that would allow you to buy power-ups and bonus spins, both of which can be very helpful if you’re unable to answer a certain question. Still, how do you earn these coins and what strategies can you use to get a leg up on your competitors? 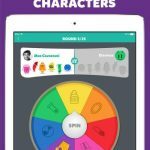 Here are some Trivia Crack cheats, tips and strategies that can help you win the game, while at the same time earning as many coins as possible. Yes, there are a lot of fake services floating out there, and these usually come in the form of links posted by friends, usually on your Facebook wall. You don’t want to click on the links, as these are actually forms of spam or malware – first off, you won’t be receiving any free coins, and secondly, you may find yourself infected and find yourself unwittingly spreading the links to your friends’ walls as well. Just remember that if something sounds too good to be true, then it most likely is. This is a great, and legitimate way to earn coins, as starting more than one game would allow you to earn coins, regardless whether you win or lose. Just make sure you’re getting as many correct answers as possible to maximize your earnings, and that you complete each game you start, because you won’t earn anything if you quit a game in the middle of it. That’s even if you’ve gotten some correct answers – just because you’re losing doesn’t mean you should abort the game just like that. This can be a bit of a nuisance for non-gaming friends – yes, we get that there are Facebook users whose lives would be much easier if their friends didn’t keep spamming them with game requests. As such, the maxim “choose your friends wisely” applies here – if you know of friends who play Trivia Crack or play mobile games in general, add them even if they won’t be playing against you, as they can literally serve as your “lifeline” by sending you new lives. Normally, we don’t advise players to make in-app purchases – if you can get the job done without paying a dime, that would be really great, right? Then again, you may consider buying coin packs from the Shop if you’re really in need of them. For example, you can pay $4.99 to get a pack of 55 coins, and $9.99 to get a pack of 120 coins.